Welcome to day 7 of our 10 Days of Non-Toxic Living in 2016! Yesterday , on Day 06, we explained why you should switch to safer materials in the kitchen and throw out (or recycle!) all things plastic and consider embracing glass as a safer non-toxic alternative. What’s on your child’s bed? 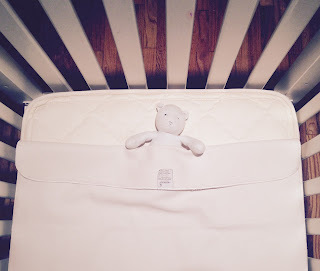 More specifically what is laying between your child and your child's mattress? 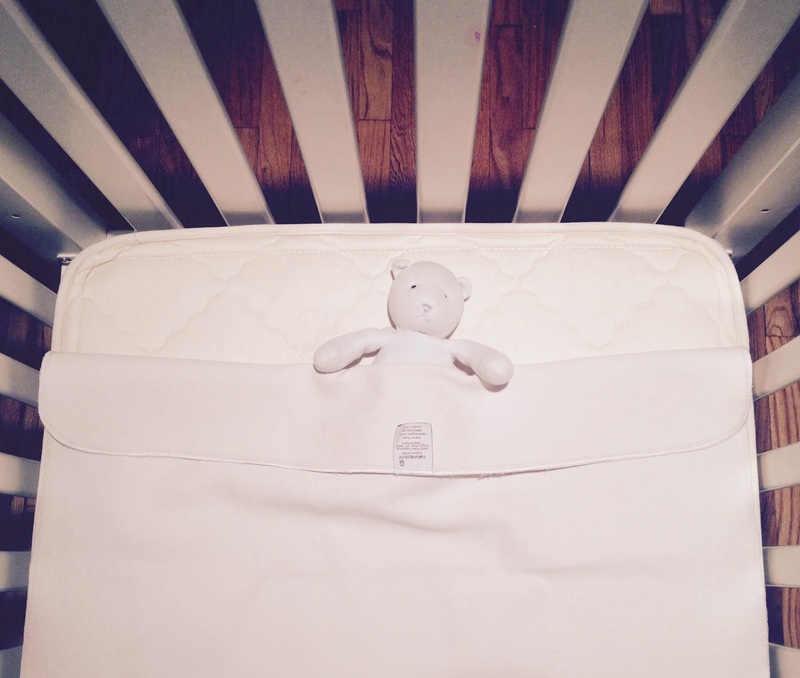 Many mattress protectors (for cribs as well as larger sized beds) are made with vinyl/PVC. Why? Well, the truth is that this chemical does a great job at protecting mattresses and pillows from water and protecting you from dust mites and mildew. EEck- I don't think any parent would want their young children (or themselves!) exposed to this chemical every single night of their lives. 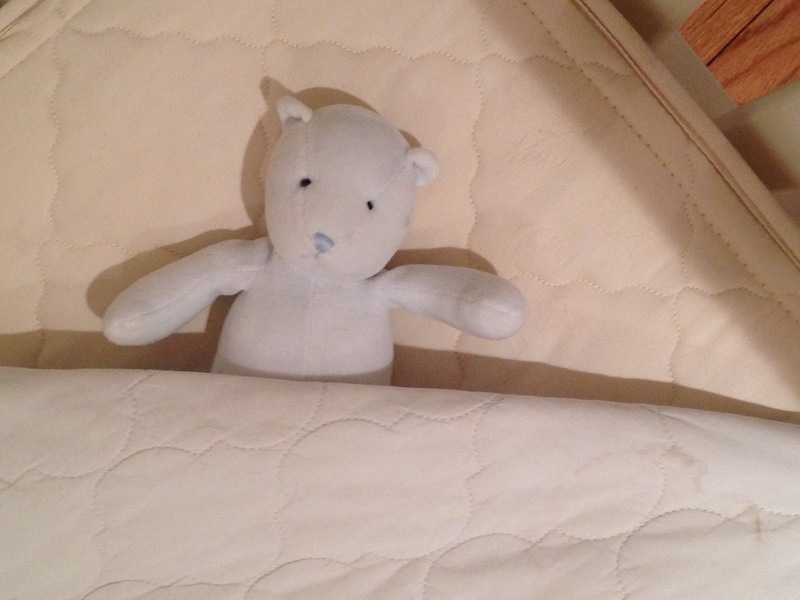 The good news is that there is a natural, completely non-toxic alternative that can protect your mattresses (which is super important, especially if you invest in a pricey organic mattress, which by the way, if you can only spend money on one item for your baby and young child it should be an organic crib and bed )… wool. Wool is naturally water resistant (and flame resistant!) and antibacterial. We use Naturepedic mattress protectors and, after more night ‘accidents’ and nose bleeds than I can or want to count, the mattresses of both our crib and twin bed are perfect. Best investment EVER. *An alternative to wool, which is also non-toxic is pure polyurethane. Although it is made from petroleum, it is completely non-toxic and even very trusted companies like Naturepedic use it as a thin film in some of their mattress protectors. *One more material to consider with is reportedly non-toxic, which I have not tried personally at home, is low density, food-grade polyethylene. Although it is a plastic, it is considered non-toxic because its simple molecular structure does not require toxic chemical additives like phthalates. BabeSafe mattress covers (made in New Zealand) are made with polyethylene that has been tested and confirmed to block off-gassing and will not off-gas itself. For some reason wool makes me feel safer, which is why we went with wool at our house.